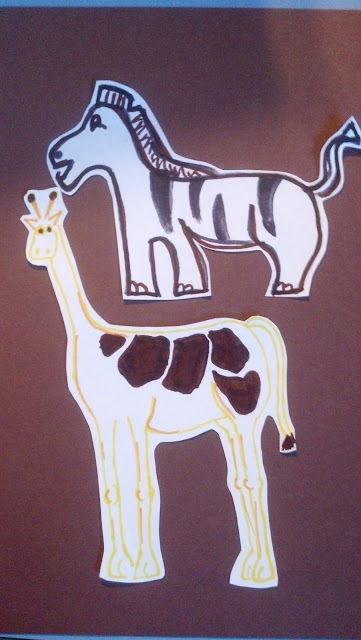 Make plain cut outs of lions zebras cows giraffes. You can then add spots and/or stripes. (See the example below.) Have the children count the spots and stripes on each animal.